Day #26 – 1/28/2014 – A Solution. As today’s meeting was held in (arguably) the middle of the week, not too many people could make it (what a shame). Anyhow, here’s the rundown of what…well…went down. In the Mech Team, they worked on finding a solution to the pickup mechanism’s main problem: bumping into the funnel mech. In order to solve this problem, they had to remove one wooden support, which reduced the overall frame of the pickup mech down to what is pictured below. The one support that was removed (right). In other miscellaneous news, members of the business team and our team leader set up a proper file hierarchy for photo storage, thus making the photo-finding process much more streamlined. This development allows the business/media team to be much more efficient when it comes to media management. Today was not an official meeting day, but we got the baseplate riveted to the side rails, for both frames. A little bit of “match drilling” was required, but it wasn’t too bad. Also, we cut and drilled 6 holes the longitudinal member that spans the center of each robot frame. Day #24 – 1/27/2014 – Connections. As today marked the first day of a new school-week, progress took time to achieve. As usual, work continued on the two prototypes. The developments, however, aren’t as revolutionary (or exciting) as they have been in the past (to be fair, it’s Monday; mind-blowing developments are unheard-of on Mondays). 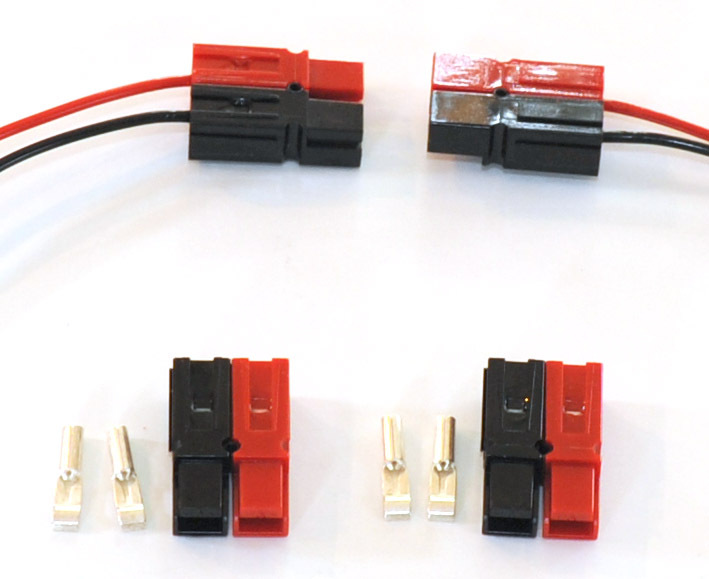 Irrelevant commentary aside, one portion of the mech team soldered Anderson connectors to provide a method of wiring power from a battery to the pickup mechanism. Despite being a very basic task, it marked something necessary to complete in order to progress further through the build. The other portion of the mech team mounted the front funnel onto the catapult mech. In addition, they also improved mounting of the rear pickup motor, and added a plate underneath said motor. They also managed to wire the motor to be able to be controlled by a VEX Pro Controller. Day #23 – 1/26/2014 – Completion, and Testing. Despite having a rather small number of students showing up today, we still managed to get quite a lot done. Today, work was finished on the movement of the pickup arm. Members of the mech team corrected the mounting unit by placing two pistons and the versa planetary gearbox on the back (right side) of the prototype. The pickup mech that was mentioned yesterday was tested today. Below is the video of that test. Two members of the mech team fabricated standoffs, and one mentor made frame rails. In addition, another mentor finished drilling and tapping CHOO plates. Currently, 9 of them are completed, with 3 more to go. An experienced member of the programming team laid out plans for the I/O’s of this year’s robot. He seemed close to finishing it, though the contents of the document would probably be subject to change. In the media team, members almost done with the script for the Chairman’s award film. They expect to be done in the following days. Day #22 – 1/25/2014 – Picking up the pace. Today marked the day of our high school’s EXPO (also known as our open house). During this event, we showed off our lab to some high-ranking officials, and they were thoroughly impressed. This took out a small portion of our overall work-time, but we still managed to make some significant progress. 90 Degrees from the vertical, which allows us to grab the ball from the ground. 45 Degrees from the vertical, to hold (and attempt to catch) the ball for (and from) the truss toss. -9 Degrees from the vertical, to hold the ball in the catapult. Drive code- We determined the angle we will need to go at using the joysticks, figured out the proper use of our gyro, and–with that data, sorted out how it will be utilized. Autoshifting- The discussion of this topic was rather short, though it was mainly regarding how the code would be written. In addition, a rookie member of the programming team was told to learn LabView in order to (just in case) assist teams whose autonomous might not be up to par. In our animation department (where, sadly, as the school’s computers were being used for other purposes during the EXPO, our render farm couldn’t be used), rendering of our gearbox animation took place. However, the crew encountered a technological hiccup during the render, thus making them restart the process all over again. It’s a minor setback that cost them a few hours, but the render will be done by tomorrow. A member of the mech team decided to CAD some designs of what our robot would look like. Day #21 – 1/24/2014 – Revisions, and attempts. With a rather large turnout today, members of our team got to work almost instantly. One part of our Mech team decided to remount the catapult with a better system, which consists of four bolts to the bottom plywood and four bolts from the aluminum rods to the actual CHOO-CHOO mechanism. Unfortunately, while doing so, a chain slipped, thus setting them back to where they were before (if not even more back). Despite that, they managed to restore their state of progress to where they were before. The other part of the Mech team continued work on the funnel apparatus by figuring out the proper method of actuation for this mechanism. In addition, they discovered the correct amount of give that the ball could…well…give, and took this knowledge to their advantage. They found out that using smaller wheels for the front pickup would produce more desirable results. Moving along, Mr. Black proceeded with his CAD’ing of gears. More specifically, the design of the right CHOO gearbox. (another student modeled the left; but they’re pretty much identical). The CHOO gearbox, from a side view. The CHOO gearbox, with a view from the top. We plan on making 6 CHOO gearboxes–4 for the actual robot, and 2 spare ones: just in case. Oh, and on a side note, we got 4 VEX PRO planetary gearboxes. Alright. With regards to the Cycloidal High-Output Operation mechanisms (CHOO), a member of the Mech team decided to attempt to mount it. Unfortunately, it didn’t really turn out the way he hoped (it wouldn’t mount). The aforementioned member of that team plans on working on that tomorrow. The rest of the Mech team decided to finish the assembly of the side-funnel mechanism. They added a piston to complete both sides of the funnel and moved on to aid the pickup mechanism. As a side project, another member of the same team decided to test out a motor for intake purposes. He concluded that it wasn’t powerful enough, so he’ll explore other options in the following days. Today marks the first day of our Kickstarter being launched. Go on, take a gander at all of its moneymaking glory. Lab opening time: 1:30 PM. The rendering farm is complete! With iTalc, we have full abilities to power on the 4200 lab, render jobs, and power down without ever setting foot in that lab. We have 6 servers there, 5 of which have 5 slaves (counting the server), and one with three slaves (again counting the server). The 28 workstations there, plus the 16 workstations in the 6302 lab makes for 44 machines or 176 cores of rendering power! We should be able to do more detailed renders much more quickly now. And also, if the 6302 lab is being used, we can just push the renders to the 4200 machines. Testing shall commence tomorrow. CHOO – Cycloidal High-Output Operation. We also decided that since we’ve been referring to it all along as the “Choo choo” mechanism, there needs to be two of them. If you take one choo, and then you add another choo, you get a choo choo. So, we plan to design the robot with one of these mehanisms on each side, instead of just one in the center. Mr. Black and Mr. Widholm discussed the design of the Choo-Choo mechanism and began to calculate preliminary gear ratios. They speculate that 64:1 ratio on a Mini-CIM motor will be approximately optimal to pull down the launcher mechanism in under 1 second time. This is operating under the assumption that two choo mechanisms will be used, each powere by a MiniCIM, and both mechanically linked to be in sync by means of hex shaft between them. Tomorrow, we will attempt to design this gearbox. Below is a fantastic explanatory graphic from user “Ether” on the Chief Delphi forums which storyboards the motion of the Choo Choo mechanism. Lab closing time: 6:45 PM. Tuesday, January 21st was officially a non-meeting day for rest, recovery, homework, and life, but a few still came in to work. Mr. Black fabricated a mount to attach a new HP 8300 Elite SFF PC to the rolling cart with the 40″ Sceptre display, and bundled the wires neatly, then opened the lab at 2:20 pm for the Eco Challenge and animation teams. The animation team configured and tested iTalc and Backburner in the 4200 lab for Distributed Bucket Rendering over the network. We are seeing great performance in rendering full frames across the network slaves. The decrease in render time is basically as many “fold” as the number of computers you use. If a frame takes 8 minutes to render on one workstation, it’s taking 1 minute on 8 workstations. The 3rd-gen i5 processors in the 4200 lab are rendering approximately 15% faster than the 2nd-gen i5 processors in the 6302 lab. Also, we’re having a blast watching CPU loads on all computers simultaneously in real time. It’s getting warm in here. We’ve set up one server for the i5 workstations (8 slaves in the cluster), and one server for the Core2Quad workstations (8 slaves in the cluster), and one server in the 4200 lab, with 7 slaves in the cluster. We’ve noticed in the 6302 lab, the render job maxing the CPUs on 7 of 8 slaves, and in the 4200 lab, maxing the CPU on only 5 of the 8 slaves. So, we plan to reduce the cluster size to 5 slaves in the 4200 lab, and run more server machines there. We experimented with exporting to TARGA format with the Split Scan Lines option ticked, but it seemed to hang on a particularly tricky part of the render. Further testing is needed. Tomorrow we plan to finish setup of the remainder of the 28 rendering slaves in the 4200 lab. As you might’ve guessed by how it moves in the animation, the “choo-choo” mechanism is intended to launch the catapult (which is what we’ve settled on for a shooter; it seemed to be the most consistent). Tired of visualizing the effectiveness of this in a rendered 3D-environment? Look no further! Before connecting this mechanism to the catapult itself, members of the mech team detached the catapult from the overall prototype chassis. Beyond this new-fangled contraption, the funnel mechanism for the prototype was finished, with all of it being installed (save for pneumatics). Additionally, the CAD team finished the design of the baseplate, which was sent out for waterjet cutting. We ordered a 4×12 sheet o 1/8″ 6061 aluminum plate to be delivered directly to the sponsor’s shop. The manufacturing team completed cutting 1x2x.125 6061 rectangular extrusion for the frame side rails and front and back members. We hope to CNC machine the pockets and rivet holes later this week. Additionally, the manufacturing team was able to complete 20 gearbox spacers to a length tolerance of +/- .001 inch, and complete the CNC machining operations of the 10 gearbox plates. All that remains on the gearbox plates is some tapping of 2 or 4 holes on each, and drilling out two holes on each of 5. We concluded the day with a visit from the editors of [REDACTED], a popular website dedicated to folks who do neat projects with electronics, programming, and mechanical things. They’ll be posting a story on our lab soon.